Sailing Photos by Ellevated Creative some more at F18 Worlds Fb, used a previous one from the winners, and what could find of the top ten..- Prize giving photo by Penny Wyon. Mention to Jill Nickerson & Robbie Daniel, from Red Gear Racing on their live streams in each race. Official Media coverage was good, excellent videos, some race finish live streams, only comment is that we need more public shots, still searching for pic of the van Dams and others. I had a busy day yesterday with bigger cats on a local boat expo, so couldn't update before. Danny Paschalidis & Kostas Trigonis won a quite competitive & complicated weather championship which put test to them and the entire fleet. I never saw such up & downs in results, a sign on how tricky the course was, which makes us appreciate the winners great effort and focus to obtain this 2018 Worlds title. Reports and comments from experienced sailors like the Greeks , Mitch booth and others makes you wonder how tough it was for the rest. Great achievement by Danny & Kostas, although a few years on the f18 to grab their first Worlds it was not easy as many might think on the superiority showed in several races or the 20pts gap with second place. 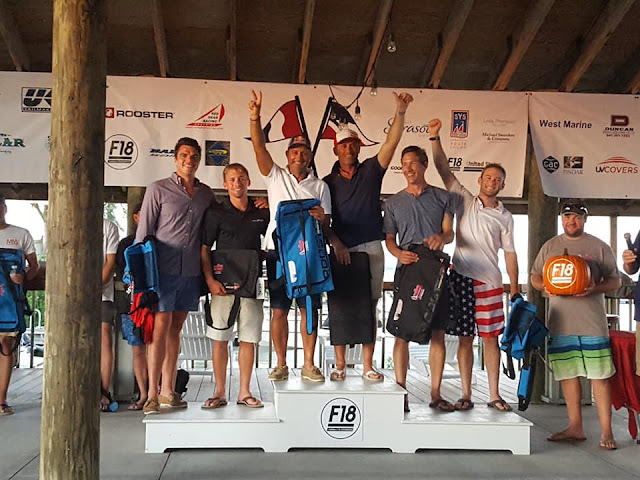 Thursday was a damage control day (it could have been a truly bad one ) and on Friday they close the regatta with two excellent top fives races to seal the title. 4 bullets were already in their score, with much at stake a 3rd & a 4th were enough. The US crews and also favorites, attacked hard last two days, putting lots of pressure along the stars of the event, the van Dams. 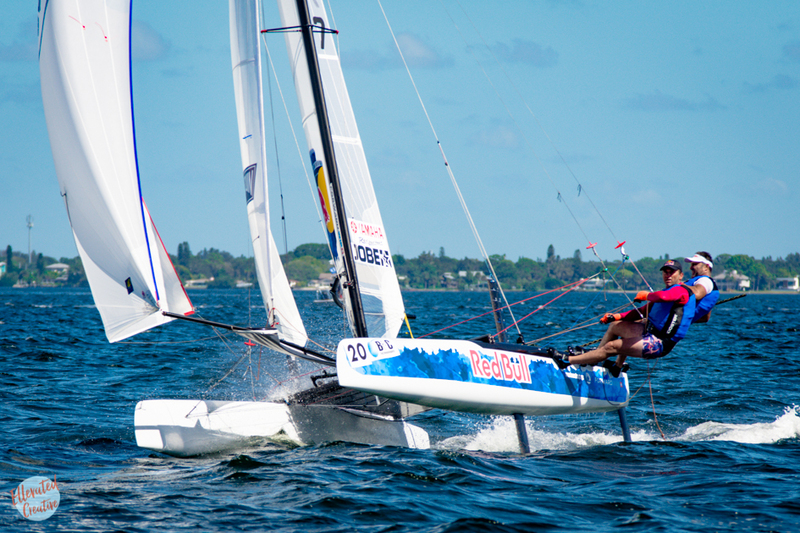 What a regatta for Hans & Marius, hat off to both. Locals Mike Easton & Tripp Burd finished in second place, just ahead of Taylor Reiss & Matthew Whitehead. 4th place and quite close Hans & Marius van Dams who missed the podium on a bad 12th race, for many in the top ten it was the second discard. Shout to our Argie friends, tough event if any but a demanding experience which will built strength for 2019. And also to Luke Ramsey & Sam carter, they put pedal to the metal last races, they found rhythm and could have contend no prob for the top 5. I just wanted to congrats the champs equipment providers: Jakub Kopylowicz once more for providing Danny & Kostas such a reliable and fast Exploder Scorpion platform, as he did last year for Mischa & Stephan. Also to Marton Balasz who worked pretty hard past year just after the 2017 Worlds to reach to a proven 1D DS. Both two great guys too who push forward the F18 into the long term success along all the other builders. 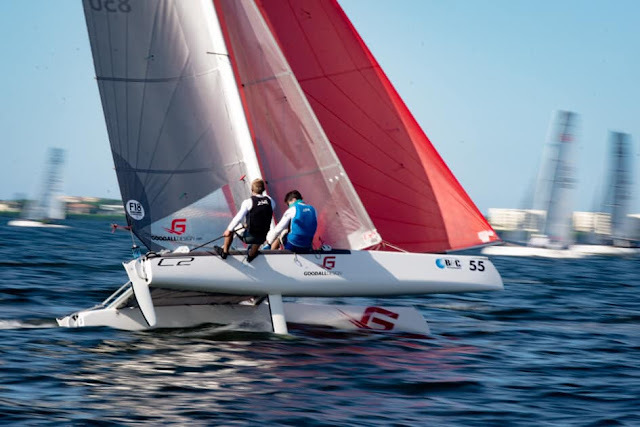 The Goodalls had 3 teams who could win the event, so the C2 & the Goodall design DS are prove a winning machine, same as Burvill Edge or Manu Cirrus R. The Infusion MK3 in Melvin & van west hands did good after an initial not ideal Europeans launch. So 5 different platforms in the top ten. For the Scorpion Project, I can´t be any more happier, two in a row now with different crews / sails. The project has forced other to R&D and upgrade platforms, which will drive performance further for the Class. Next year Worlds will be held at Ballena Alegre, Costa Brava, Spain, where the 2018 Euros were held. Many comments on being one of the best venues on weaher, wind, and organization and we will surely have good breeze to challenge sailors in a different way they had to endure this time around. - Planned Success: Congrats once more to Danny Paschalidis & Kostas Trigonis. I remember in 2015 Worlds when Danny raced with Gustaf Dyrssen and they saw the Scorpion had potential. 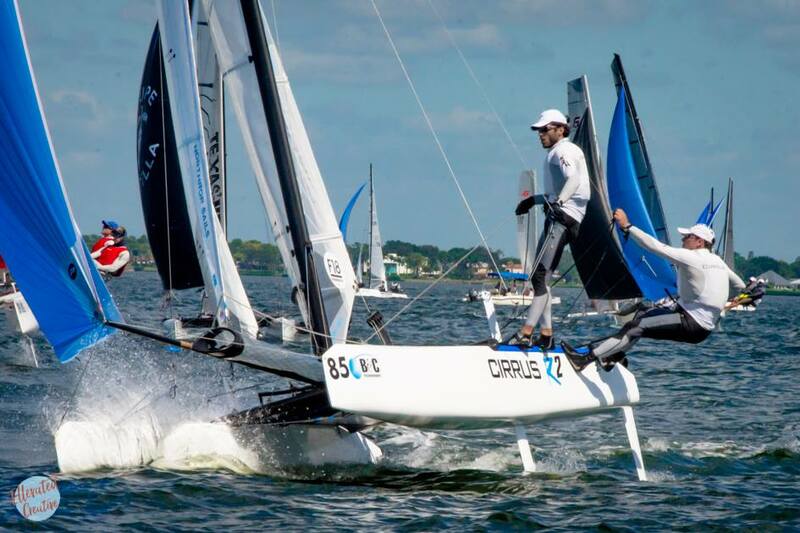 Later with Kostas, they start sailing one towards 2017 Worlds and they put a lot of hours to improve their specific F18 skills. They are pros, no doubt, Pro means training as hard as none, it is not like magic, ask Lange, that guy is a training machine for instance. This one was a targeted title with a great progression: 5th 2017 Worlds, 1st St Barts 2017, first Europeans 2018 and now the pinnacle with a World Championship at Sarasota. 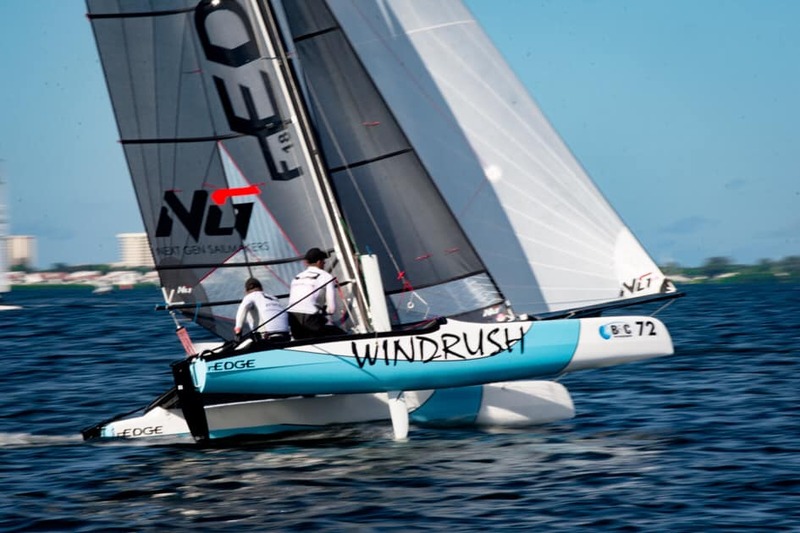 The F18 will have a fest at Costa Brava next year, so book your trip , cause the F18 looks brighter than ever and now we want Bundy & Carolijn back for next Worlds too, along with Mischa & Stephan surely looking for a ´revenge´.